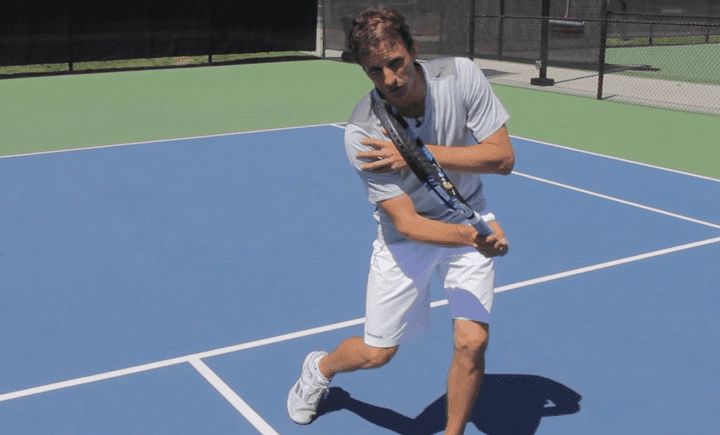 So, you want to know how to keep your arm and elbow from collapsing when hitting a volley? Doing so is essential for achieving control on your volleys. You can fix this common error by focusing on several points, mostly related to the finish of the shot. Techniques we’ll talk about are easy to apply, and with a bit of practice you’ll start feeling much more comfortable at the net. The most common mistake players make when hitting volleys is that they try to hit the ball too far out in front of their body, and this results in a lot of mishit volleys. Instead, keep your arm bent and hit the volley just slightly in front of you. Keep your eyes closer to the racquet head at the contact point. This will force your feet to move through the volley instead of reaching too much with your arm. You should feel the movement from the shoulder with a bent arm as you make contact and finish. Being focused on the finish helps you keep your racquet steady on the volleys. 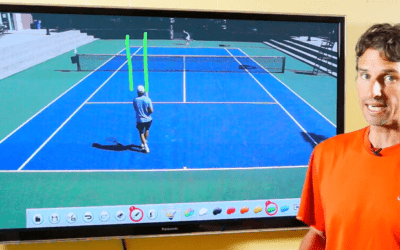 The racquet head should stay closer to your head and eyes. The last thing you want to do is let the racquet head get away from you. When you keep the racquet head close to the head, you will use your legs better so that you can get into a balanced position to hit the volley. Use a nice and compact swing when hitting the volleys and finish with a bent arm. Using proper technique allows you to have a similar feeling on both forehand and backhand volleys, and this is crucial for confidence at the net as well as consistency. This is another volleying technique that relates to the finish. The finish is so important. Even though the contact has already taken place by this point, focusing on the finish still forces you take care of the details with your technique, without having to think too much. Focus on stopping the racquet right after contact so your finish is nice and compact. There should be no follow through whatsoever. To practice shortening the volley finish you may have to think about stopping the racquet, even before contact is made. 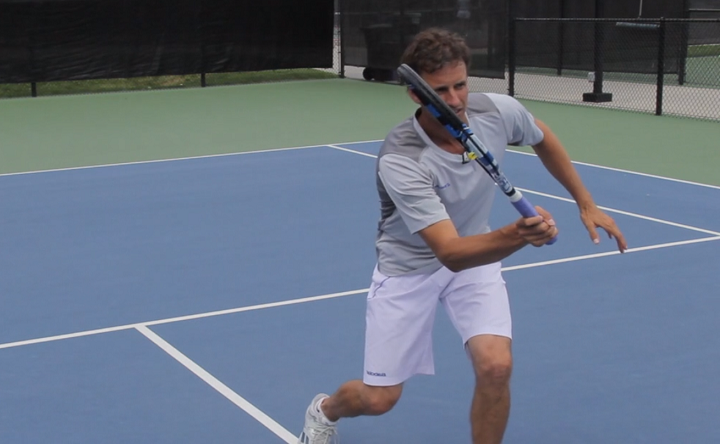 Do this if your follow through get too long and the racquet head tends to drop too much. If you focus on this concept, your volleys are going to improve quickly. 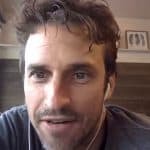 The legendary Aussie, Patrick Rafter was famous for having a very unique volleying style. 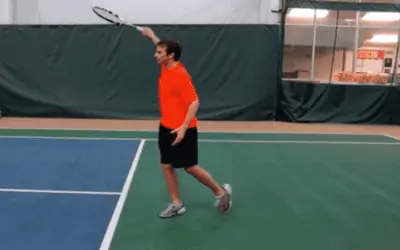 To apply his technique, you can try focusing on hitting the volley and then lifting your hand a little bit at the end. 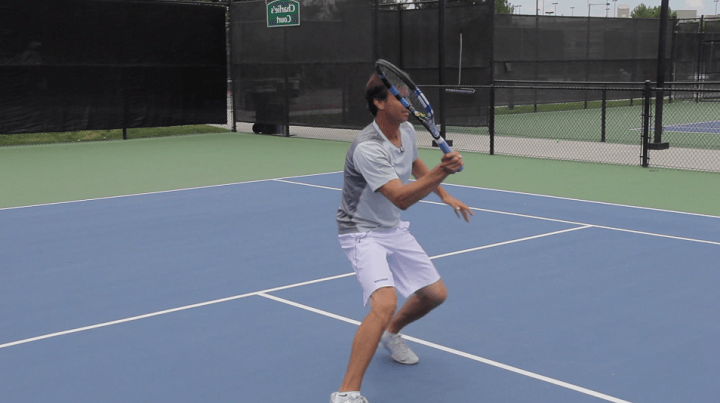 This approach helps you clear the net more often if you have a tendency to drop the racquet head. Be careful you don’t raise your racquet at the exact moment you hit the ball, because the ball may pop up too much and go long. Instead, think of this technique as a delayed finish. Once you hit the ball, lift the racquet slightly. Just this intention of raising the racquet a small amount helps you get more net clearance on the volleys. The Pat Rafter high finish works wonders if you drop the racquet head and want to ensure you clear the net. 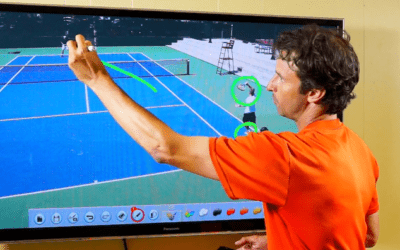 Try to apply the above tips in your next tennis session in order to improve your technique. I hope you’ve enjoyed these tips on how to keep your arm and elbow from collapsing when hitting a volley. 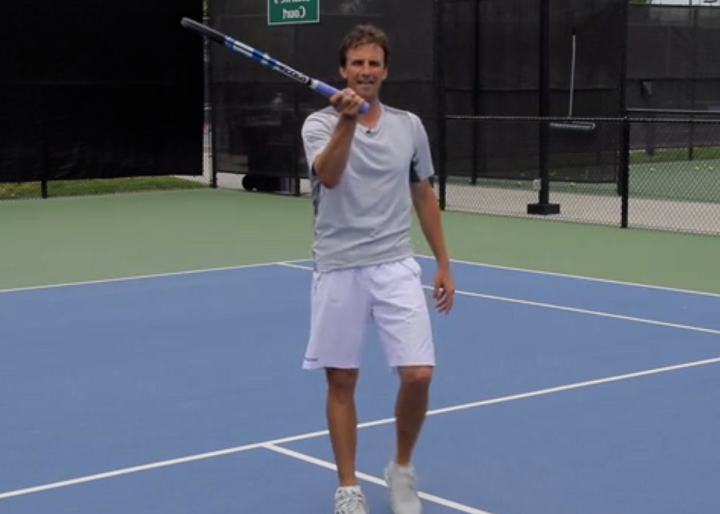 Focusing on the finish will help you keep your volleys steady and clean. Plus, it’ll also prevent that arm and elbow collapsing issue many players struggle with. When you apply the above techniques, your feet will start to move more naturally and you’ll be able to step up your net game.